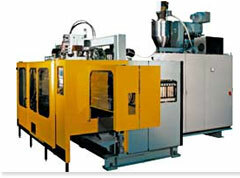 LFI moulding : Has just two process steps. The first step takes place in the mixing head. Glass fibre from a roving is chopped, the PUR components are mixed, the fibres are wetted and the mix is poured into the open mould. The second process step is post-mould processing. Materials processed in LFI moulding are polyurethanes (PUR) and glass, carbon, sisal or flax fibres. Fibre length can be 12-100 mm. A typical application is the production of instrument panel substrates and other parts for automotive interiors. The LFI-PUR process: Glassfibre rovings are chopped to a set length in a chopper immediately upstream of the mixing head. They are wetted with the PUR reaction system in the mixing head. The mix is discharged into the open mould, the mould closes and the part is shaped under pressure, causing the fibres and the PUR matrix to bond into a high-strength composite. Characteristic of LFI parts are high strength and low thermal expansion. Fibre length and concentration can be varied during pouring to locate strength and stiffness as required, by adjusting fibre concentrations and/or fibre length. Long Fiber Injection Moulding: Economical production of bodywork for commercial vehicles. Shorter cycles for lower unit cost. Bodywork elements are produced by back foaming a thermoformed film with glass fibre-reinforced PUR. The film itself meets the criteria for a Class A surface, so no painting is required. One current application is producing engine covers in a very stable process with shorter cycle times than other processes. Increased productivity reduces the unit cost. LFI In-mould Painting: High-strength parts with premium surfaces- a new approach to producing LFI parts with high-gloss painted surfaces. A paint layer is sprayed directly onto the surface of the mould. A spray mixing head then sprays a barrier coat on top of the paint. The LFI layer is poured into the mould, the mould is closed and clamped. The pressing step is the final stage in producing a high-strength, fibre-reinforced part with an outstanding high-gloss surface. Modular shuttle mould carrier concept: Developed specially for the LFI process. This is the type of mould carrier used in producing the engine covers. To allow the pouring robot maximum freedom of movement, the lower half of the foam mould is run out of the mould carrier frame on a shuttle platen. A very stiff structure and a highly dynamic drive ensures that the mould closes quickly once the pour is completed, and before the chemical foaming and curing reaction gets under way. LFI – Long Fiber Injection Moulding + honeycomb: for lightweight sandwich products, offers low weight and high stiffness. Fibre-reinforced outer layers and a lightweight core produce a part that can take the load. The LFI-PUR + honeycomb process produces functional elements for automotive interiors, such as rear shelves or car boot mats. The spacer layer of honeycomb-structure cardboard has a very low weight to area ratio. It is given a thin layer of glass fibre-reinforced PUR on both sides and pressed into the required shape to produce a finished part with very low weight and very high stiffness. glass fibre from a roving is chopped, the PUR components are mixed, the PUR mix is atomized, the fibres are blown into the spray jet and sprayed as a reinforcing layer. The second step is air curing, before the third post-processing step. FCS is optimal for polyurethane (PUR) plus glass or carbon fibres. Fibre lengths from 5 – 12 mm and fibre contents of 10 – 25% can be achieved. SRIM - Structural Reaction Injection Moulding: Standard system using preformed, endless-fibre mat for large-area parts. SRIM involves four process steps. The first process step is preforming and cutting the glass mats. These are then manually loaded into the mould. The third step is PUR pour into the open mould, which is then closed and clamped. The fourth step is post-mould processing. 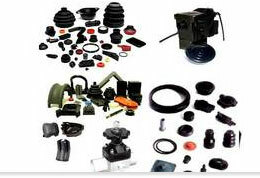 Materials processed in RRIM moulding are polyurethanes (PUR) and glassfibre. Initial fibre length is 50 mm. ‡. Typical applications are the production of door trim panels and many other parts for automotive interiors. Resin Transfer Moulding: Vacuum-assisted in a closed mould, glassfibre content up to 70% by weight, for high-strength structural parts. RTM involves four processing steps. The first step is cutting the glass mat to size. These are then manually inserted into the mould. The third step is EP pour into the closed mould – if necessary vacuum-assisted. The fourth step is post-processing. Materials processed in RTM are epoxy resin (EP) and fibre. Initial fibre length is 50 mm. typical applications are the production of exterior parts for commercial vehicles, carbon fibre composites for the aviation industry and optical parts. By weight, PET consists of 70% terephthalic acid and 30% monoethylene glycol. Bio-PET is made by replacing monoethylene glycol (MEG) with a raw material derived from sugar cane. Toyota plans to replace 20% (by weight) of all oil-based plastics for cars with bio-plastics by 2015, amounting to approximately 360,000 tons of bio-plastics. The Bio-PET may be used in seats and carpeting and other interior components that require a high level of performance unattainable by previously available bioplastics. The opening of Braskem plant in Brazil is speeding Toyota’s use of bioplastics. The Japanese major has committed to buy 40% of the output of Braskem’s new 200,000 tpa ethylene from sugar. Toyota’s first use of Bio-PET was liner material in the luggage-compartment of the Lexus CT200h. The new material features enhanced performance like heat-resistance, durability performance, shrink resistance when compared to conventional bioplastics as well as performance parity with petroleum-based PET. Costs will be comparable to oil-based PET once high production volumes are achieved. The car maker plans to increase both the number of vehicle series featuring the new material, as well as the amount of vehicle-interior area covered. 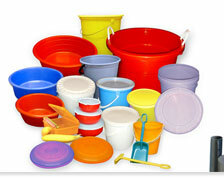 As per designnews.com, in 2003, Toyota became the first in the world to use bio-plastics in a mass-production vehicle. Polylactic acid was used in the spare tire cover and floor mats of the Japanese-market “Raum” small car. The Sai hybrid uses bio-plastics to cover 60% of the exposed surfaces of interior parts. Fibers made from DuPont Sorona are being used for the ceiling surface skin, sun visor and pillar garnish. Floor mats for the remodeled third-generation Toyota Prius uses an advanced PLA-based fiber. Other applications for bio-plastic in the Prius are seat cushion foam, cowl side trim, inner and outer scuff plates, and deck trim cover. Toyota used PLA from NatureWorks to replace petroleum-derived nylon resin used in floor mats. DuPont Zytel RS 6/10 is being used in a radiator end tank in the 2010 Camry sedan, offering exceptional heat resistance, durability and road salt resistance. One of the new applications in 2011 will be a fiber that backs vinyl in sheets used to cover seats, dashes and door interiors. Working with Toyota engineers, Canadian General-Tower (CGT) developed a calendared vinyl called Vehreo that is processable on existing equipment. The fabric layer under the vinyl is made 55% from recycled PET bottles. A plasticizer made from soybean oil and castor bean oil makes up 10-35% of the main layer. A surface coating on the sheet is a protein that can replace a petroleum-derived thermo-set such as polyurethane or vinyl-acrylic resin. As per Toyota, the name biodegradable plastics emphasize the post-use disposal aspect, but actually the term bio-plastics, which emphasizes the manufacturing process, is also used. Biodegradable plastics can be made like conventional plastics using petroleum resources, in which case despite degrading following disposal, they use up limited petroleum resources. Bioplastics, being plant-based, are different. The carbon dioxide and water which is generated when they degrade is simply returning to where it came from; the carbon dioxide into the atmosphere and the water into the ground, so that over their whole lifecycle they cause no additional generation of carbon dioxide, apart from the energy consumed in their manufacture. These are the bio-plastics that Toyota is currently developing. This feature of not increasing the volume of carbon dioxide is called carbon neutrality. Achieving widespread use of carbon neutral materials is a major hurdle on the way to a recycling-oriented society. The bioplastics which Toyota aims to create are carbon-neutral materials using sweet potatoes, sugar cane, etc. as raw materials. The manufacturing process starts by taking the starch of the sweet potatoes and other materials and breaking it down with enzymes to turn it into sugar, which is then fermented to produce lactic acid. In the wake of the devastating earthquake and tsunami that hit Japan in March 2011, the country’s PVC exports dropped because several plants at Kashima were shut. Just after the disaster, Japan, one of Asia's largest PVC exporters, imported around 10,000 mt of PVC from Taiwan, South Korea and the US, as per Platts. According to the Vinyl Environmental Council, Japan's PVC exports in 2011 were 427,070 mt, down 35.3% from 2010. However, market sources attribute the drop in 2011 exports not only to the earthquake, but also to the strong yen, which made Japan-origin PVC less competitive. 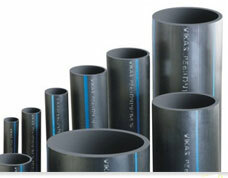 Market sources said Japan's PVC demand for reconstruction would likely limit exports in 2012. But VEC data showed that domestic PVC demand in 2011 was 1.039 million mt, ticking up a mere 0.7% from 2010. Reconstruction work in the quake-hit area has been slow, with rubble still being cleared out in early 2012. If reconstruction work goes ahead in full steam in 2012, it could mean that PVC output would be diverted from exports for more domestic use, as PVC is widely used in the construction industry to make pipes, window frames and walls. The Shaw Group Inc. has been awarded contracts to provide a process design package and technology license for the addition of a 30,000 bpd catalytic cracking (DCC) unit to IRPC's 215,000 bpd refinery in Rayong, Thailand. The upgrade project will maximize the production of polymer-grade propylene and recovery of polymer-grade ethylene to be used as feedstock for petrochemical derivative units at the same site. Shaw also will function as the superlicensor for four additional supporting technologies provided by Axens. As superlicensor, Shaw has single point responsibility for execution and performance guarantees for these technologies. "As superlicensor, Shaw will optimize the integration of these technologies and maximize the production of propylene and other products for our client," said James Glass, president of Shaw's Energy & Chemicals Group. "This solution will enable IRPC to move to the next level of heavy oil cracking and propylene production." Shaw is the exclusive licensed provider of DCC technology outside of China, and together with the technology's developer, SINOPEC Research Institute of Petroleum Processing in the People's Republic of China, has licensed a total of 16 DCC units. The first DCC complex designed and engineered by Shaw was successfully commissioned in 1997 at this same site in Thailand, for Thai Petrochemical Industries, the previous name of IRPC. In autumn 2011 the plant engineering company Uhde Inventa-Fischer and Formosa Chemicals & Fibre Corporation (FCFC) of Taiwan successfully commissioned a plant for the production of high-performance polyamide 6 for textile applications. The new plant is located to the south of Ho Chi MinCity in Vietnam. The polymerization plant uses Uhde Inventa-Fischer’s proprietary High-Performance Polyamide 6 technology (HPPA®) to produce an annual capacity of 47,000 tonnes of full-dull or semi-dull chips. The overall plant is designed to allow for fast and simple integration of a second 130 tonne-per-day line at the front of the building. The polyamide 6 produced at the plant is highly homogenous, stands out for its excellent heat stability and UV resistance, and meets the highest quality standards. The material is thus perfectly suited for high-speedspinning. Uhde Inventa-Fischer’s scope of supplies included the know-how licence, the formulae for the highperformance additives, the basic engineering, supervision of the detail engineering, the supply of all relevant equipment, supervision of the erection and the commissioning management. In addition, the operating personnel of Formosa Chemicals & Fibre Corporation were trained to operate the plant by experienced Uhde Inventa-Fischer specialists. A year after the devastating earthquake and tsunami hit Japan, the country’s petrochem industry continues to struggle on the recovery path, as the sector grapples with production disruptions, especially in aromatics, as per Platts. A key supplier of isomer-grade mixed xylenes in Asia, the quake hit Japan saw a major disruption, with the shutdown of CM Aroma's 270,000 tpa MX plant at Chiba and JX Nippon Oil & Energy's 470,000 tpa MX plant at Sendai. A restart planned by JX at the end of March 2012 seems unlikely as the company is said to be seeking around 5,000-10,000 mt of MX for delivery in March. The current purchase may not be able to help ease the current isomer-MX supply tightness in Asia by the end of Q1-2012, something that the market had been expecting. With JX buying March cargoes, the balance is tight. Moreover, with the gasoline season starting in April, it is most likely that MX supply from JX will resume only in H2 2012. The peak gasoline demand season usually runs from April to June/July and JX is likely to retain isomer-MX in its gasoline pool rather than offer it for spot sale. The Saudi Basic Industries Corporation (SABIC) has signed an agreement with Mitsui Chemicals, Inc which allows it to manufacture TDI and MDI. Mitsui will provide manufacturing technology for producing TDI and MDI, which are both raw materials for producing polyurethane. The agreement also provides for joint technology development in TDI/MDI. Expressing strong optimism over the agreement, Mohamed Al-Mady, SABIC Vice Chairman and CEO said that it would spearhead a strategic collaboration between the two companies to explore future possibilities to collaborate in the polyurethane (PU) business. “The agreement will spur our strategic business plan to penetrate the global polyurethane market as well as power the ambition and competitive advantage of our customers for the long term,” he said. “It will also enable a fast development of PU application industries in Saudi Arabia, especially with regards to thermal insulation which will contribute to employment creation as well as energy savings.” Al-Mady pointed out that Mitsui Chemicals has a long experience as a manufacturer of TDI and MDI and has over the years developed pioneering manufacturing processes. “Through this technology license agreement, we will strengthen our product capabilities with high quality TDI and MDI and expand into the polyurethane business,” he said. Toshikazu Tanaka, Mitsui Chemicals President and CEO commented, “For Mitsui Chemicals, this License Agreement will be the largest and most extensive one we have ever made. We will support this project full force on every front and are committed to its success. I hope that it will be just the first step in a future business partnership with SABIC , which may include establishment of a strategic supply base for competitive TDI/MDI.